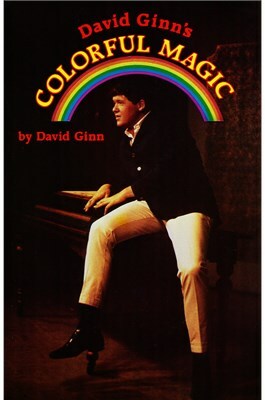 David Ginn's first book, Colorful Magic, has now been reprinted one final time. It is a 112-page book of wonder-filled magic with silks, doves, rabbits, flowers, candles and more. The book is filled with drawings and photos as well, plus full explanations. All this magic David developed in both live shows and on TV 1965-70. The book explains some of his best productions, vanishes, and changes from one thing to another.